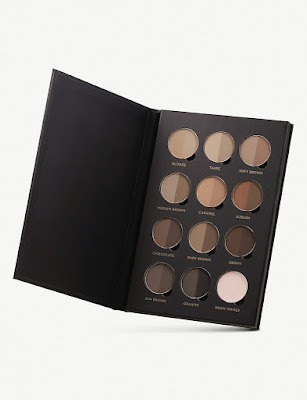 Made with professional makeup artists in mind, Anastasia Beverly Hills’ Brow Pro Palette brings you an exclusive collection of powders in a range of shades that are designed to universally match every hair colour, skin tone and undertone. Highly pigmented and buildable, the velvety formula allows you to create natural, dramatic and ombré looks with your brows giving a more natural look and depth. Try mixing the powders to create custom brow shades.